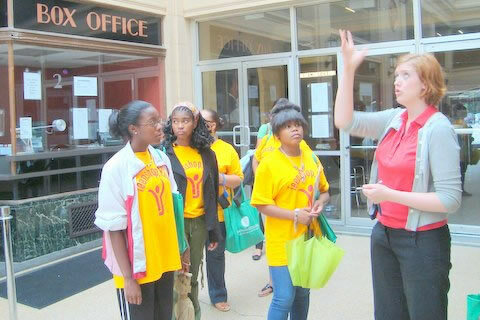 A donation to Teenshop, Inc.® is an investment in a future leader. Since Teenshop was founded in 1985, more than 8,000 girls of color have been enrolled, and we’re proud that ALL of our graduates matriculate to college or professional schools. 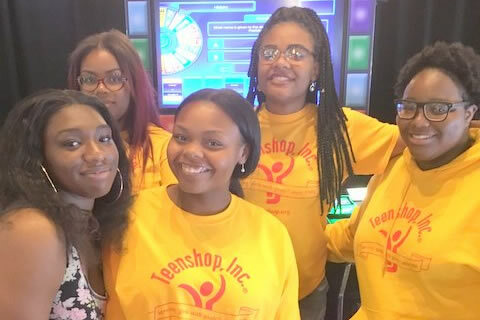 Several Teenshop alumnae, now successfully pursuing their careers, are serving as leaders in their former chapters and as board members. Teenshop is a 501(c)(3) organization. All donations are tax-deductible. Our Tax ID number: 23-2614233. Bus transportation for an activity. Tickets to educational, cultural, or sports events. In-Kind donations including workshop refreshments and stationery products. Please make checks payable to: Teenshop, Inc.
Our Donor Option number is: 10068. Please write that number on your United Way pledge form. Shop at AmazonSmile and Amazon will donate 0.5% of the price of your AmazonSmile purchases to Teenshop. Find out if your company has a Matching Gifts program, where they will match employee contributions. We would be happy to discuss the opportunity for your organization or company to fundraise for Teenshop. Please contact us to share your ideas.